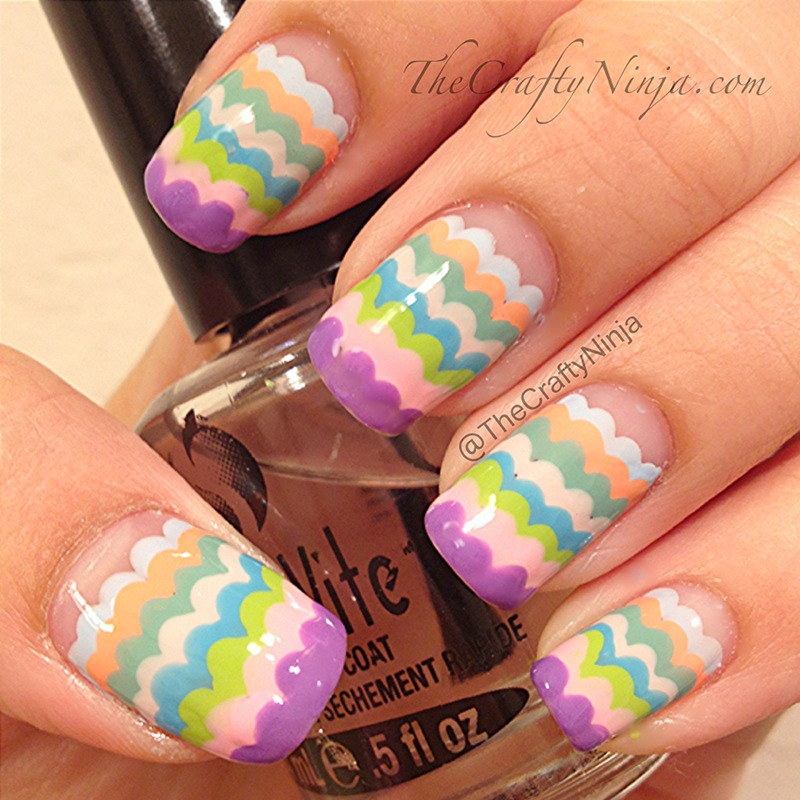 I have seen a similar version of scallop or cloud nails but wanted to try a different take by making it smaller. This also is similar to fish scale nails but I used the same color for the dots in a row. I saw this design on Globe and Nail and first thought that tape and craft scissors were used to create it, but I used a Nail Dotting Tool to create this mini scallop look. So pretty and delicate. 1. 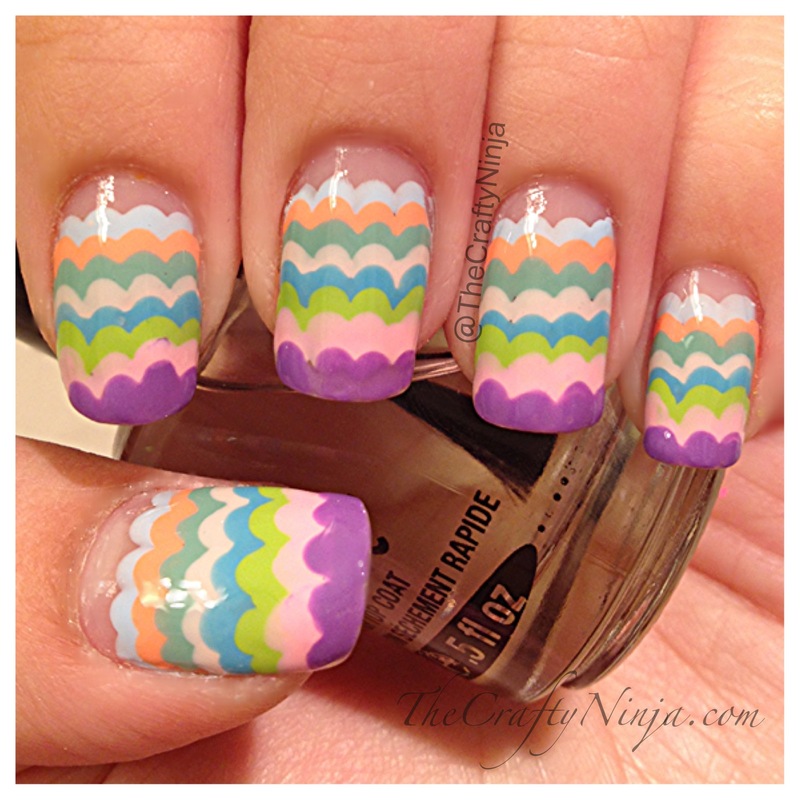 I used eight pastel nail polish colors and the nail dotting tool to create this mini scallop design. 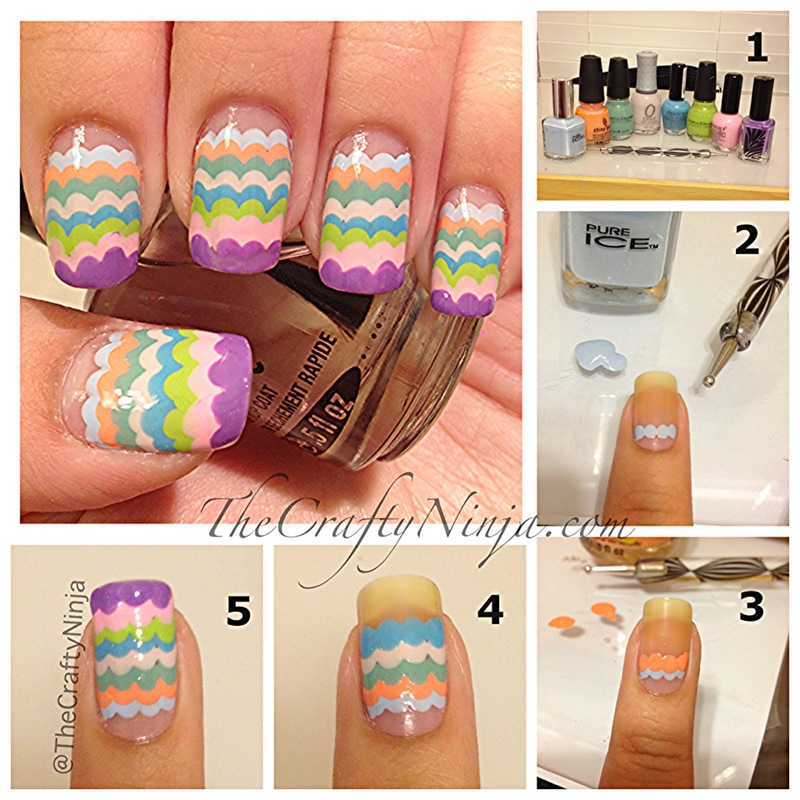 You can use any nail polish colors. 2. Using the nail dotting tool place dots across to create a row. I did about four dots in a row for the index, middle, and ring fingers, five dots for the thumb, and three dots for the pinky. 3. The next color I placed slightly below and overlapped to create the second row. 4. Keep repeating steps 2 and 3. 5. The finished mini scallop nail. Apply top coat.